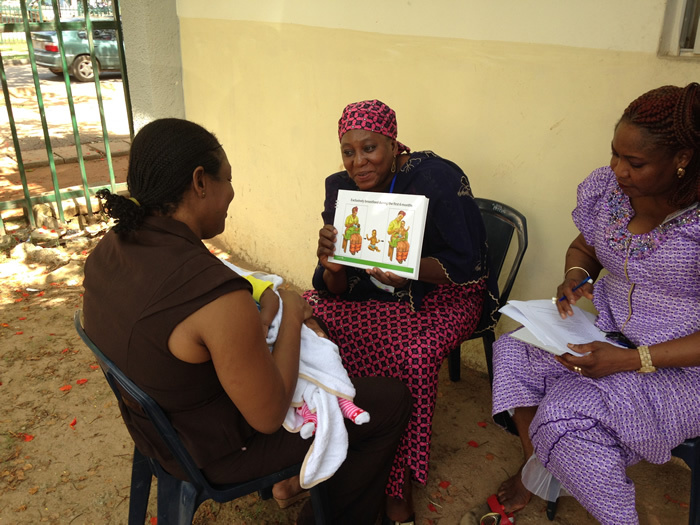 In 2013, the Nigerian Federal Ministry of Health (FMOH) of Nigeria led a process to produce training materials on community infant and young child feeding (CIYCF). 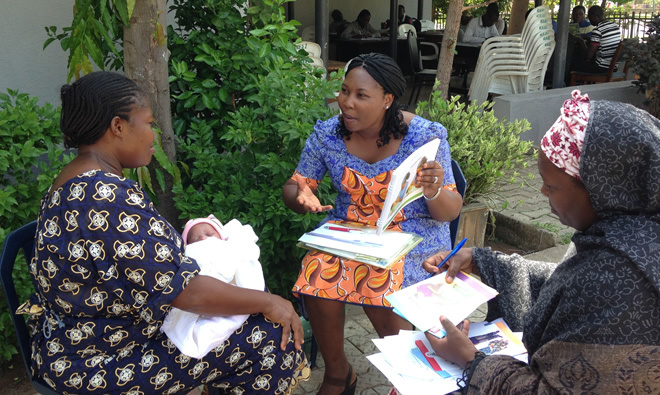 The CIYCF package—which included counseling cards, a key message booklet, participant materials, 4 take-home brochures, and a facilitator’s guide—was intended to ensure uniform training and information sharing throughout Nigeria. SPRING/Nigeria, which was involved in the development of the package, is now rolling out the training to all relevant stakeholders. 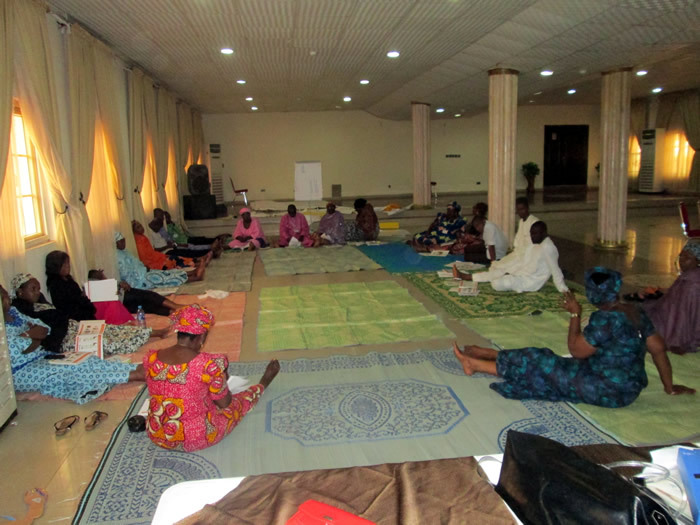 The first phase of training included two five-day “Training of Trainers” (ToT) which were held in March-April of this year. Participants represented USAID/Umbrella Grant Mechanism partners (SMILE and STEER), the FMOH, national and zonal officers from National Primary Health Care Development Agency, State Ministries of Health (Bauchi, Benue, Edo, FCT and Kaduna), the Primary Health Care Development Agency, and the Federal Ministry of Women Affairs & Social Development. 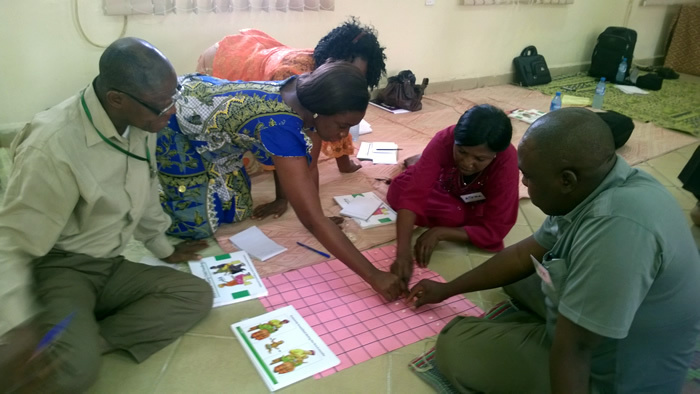 The trainings were action-oriented and participatory, involving group work, role plays, practical sessions, and micro teaching methodologies. 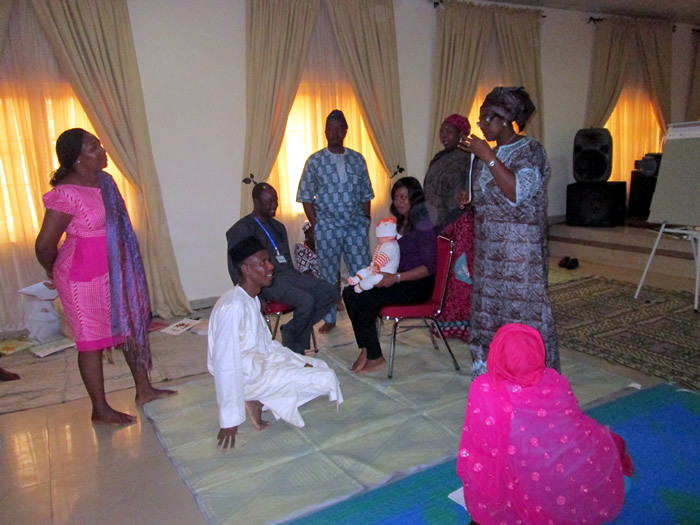 Hands-on training was organized through field visits to one health facility and one community for support group formation and group counseling. 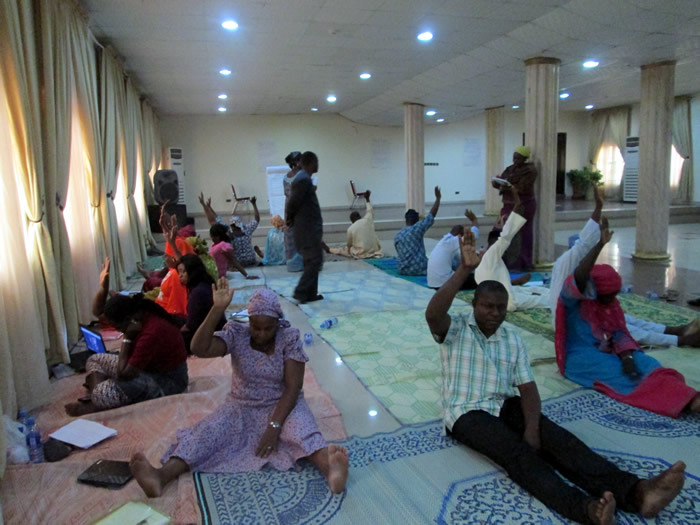 The trainings were great successes, with pre- and post-tests showing a 15-25% knowledge gain in both locations.